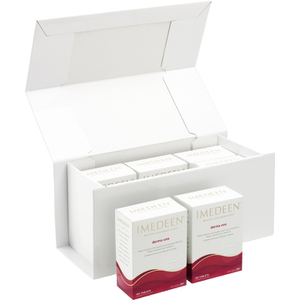 Take control of first signs of ageing with Imedeen Derma One 6 month bundle. The sixth month supply contains an advanced formula that is enriched with zinc and vitamin C to help you maintain a radiant complexion. 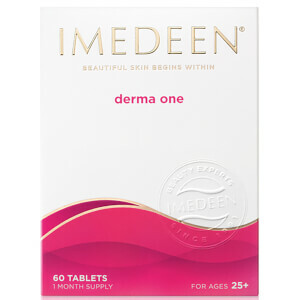 The tablets feature the exclusive to Imedeen, Marine Complex, which is rich in proteins and polysaccharides, similar to those found naturally in the skin's supportive structure. Helping to promote healthy and radiant skin, the scientifically tested product will improve skin quality and moisture balance, whilst creating a softer more supple look to your skin. 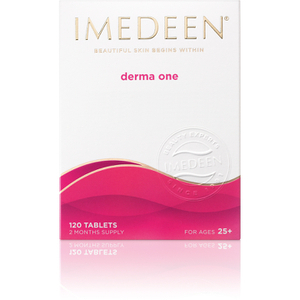 May improve skin appearance to feel softer, smoother and more supple. Contains Marin Complex, Vitamin C and Zinc.